An account of the New Zealand Chinese Association’s (NZCA) SS Ventnor Tour, 7-9 April 2018. In the early 20th century, the lives of Chinese migrants in New Zealand were often fraught with difficulty. Not only did they have to deal with the struggles of making a living in a new land, but also significant levels of societal and legislative discrimination. At the turn of the century for instance, passenger ships were only permitted to carry one Chinese per two hundred tons, these Chinese also having to pay the infamous Poll Tax (at that stage consisting of one hundred pounds).1 Despite such hardships, many looked forward to the final consolation of having their remains shipped back to their villages in China for burial. In 1902, some 500 sets of bones were exhumed from Chinese graves to make this final journey on the steamship SS Ventnor. This initiative was organized by the Cheong Shing Tong, a Dunedin-based Chinese benevolent society. Unfortunately, this ship fell victim to the sea, sinking off the Hokianga coast with the loss of the bones and many crewmen. 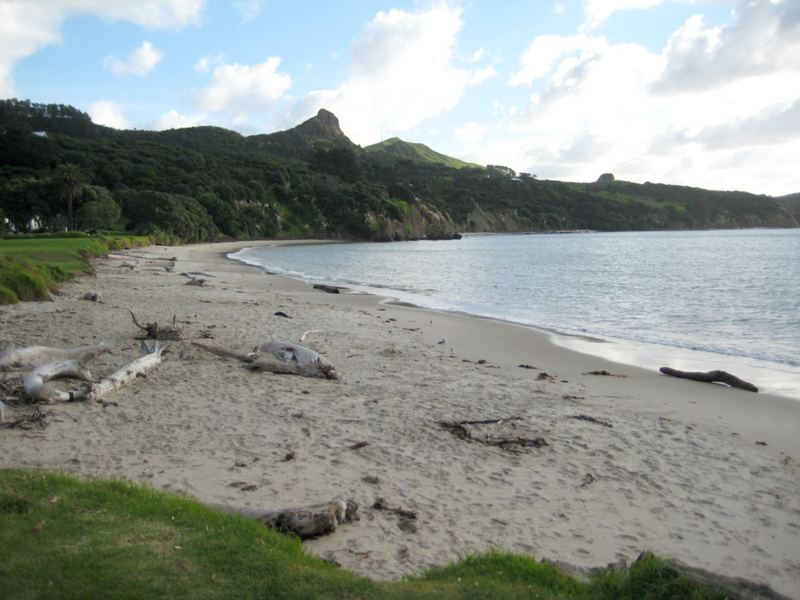 Still, some sets of remains were washed ashore and located by iwi, members of Te Roroa and Te Rarawa, and respectfully buried on their land. This act of charity remained obscure to Chinese descendants for the next century or so, until 2007 when Wong Liu Shueng, from New Zealand’s early Chinese community, received knowledge of these events from the oral histories of the iwi involved, during research for a filmmaking course. With this knowledge came the connection of two historically linked communities, Chinese and Māori, ensuring the tale would not be relegated to the dustbin of history. To help keep the story alive, NZCA Auckland organises periodic tours to the sites associated with the SS Ventnor saga. These trips usually coincide with the Qing Ming Festival, and are open to people from all backgrounds. The 2018 trip was to be especially significant, as it was to also see the unveiling of the NZCA memorial to the Chinese in Rawene cemetery. The memorial would consist of steel panels containing the 500 names. Leading up to them would be seven steps, each engraved with English, Chinese and Māori words outlining the journey from grief to commemoration – Departure/Te Hokianga Nui/離開, Hope/Tumanako/希望, Gratitude/Mihi Aroha/感謝, Waiting/Noho Wahangu Ana/等待, Tears/Roimata/眼淚, Memory/Nga Maharatanga/紀念, and Honour/Mihi Mahaki/榮譽 The panels themselves would be built in an elegant sweeping fashion, reminiscent of a ship, dragon’s spine, whale bones or a Chinese fan. However, unforeseen events forced the cancellation of the unveiling. Recent flooding from Cyclone Gita interacting with the planned memorial’s foundation construction had caused a partial collapse of one of the existing graves, necessitating an immediate halt to construction. Still, the trip itself was to go ahead as planned, and the morning of Saturday 7th April saw some forty descendants of the lost Chinese, New Zealand Chinese Association members, and other interested parties cram into a bus in Auckland to depart for the north. I had quite a personal interest in the story of the Ventnor. As a dual Australian/NZ citizen who spent a fair portion of my life Down Under, the issue of how people of migrant background exist on colonised land is one I have been increasingly concerned with as I grow older. I did not know of any Australian equivalent to the remarkable timeline of events involving the Ventnor, and felt that there was much to learn from it. I had a fair bit of background knowledge on the ship, especially after having done a postgraduate dissertation on related media coverage, but I needed to make it real. This was an opportunity simply too good to pass up. 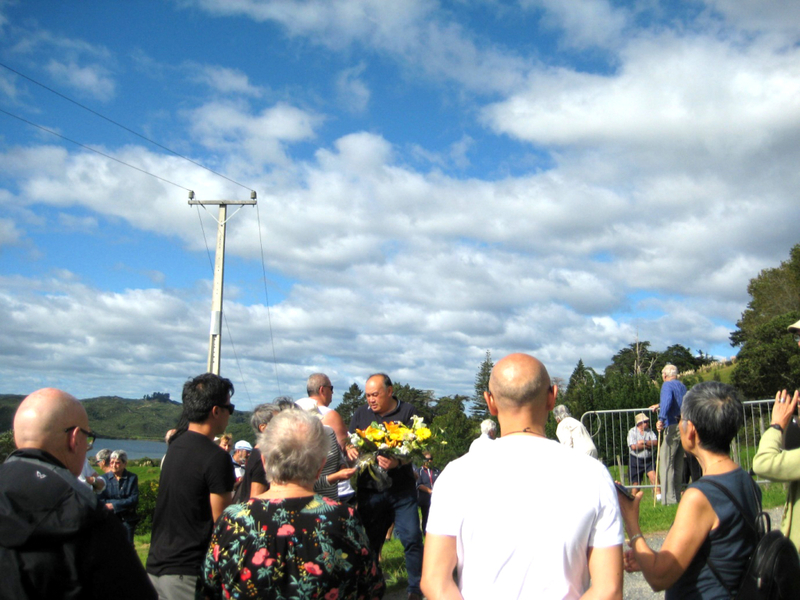 Upon arrival at Rawene Cemetery, we were generously welcomed by Ngāpuhi kaumātua Steve Morunga, who has been very engaged with the proposed memorial from the start. Awi Riddell (of Scottish and Ngāti Porou heritage, and a noted leader and educator) responded on our group’s behalf, a role he was to fulfil many times on the trip. The presence of concerned locals keen to hear about the latest developments contributed a certain tension. The recent mishap still fresh in their minds, a few voiced worries about construction impinging upon existing plots and causing further damage. Still, any criticism was done in a fair-minded manner, and one person even apologised to our group, recognising that we had nothing to do with the mishap, and that it was too bad that the issue was not resolved before our arrival. Richard Tam of TT Architects (the firm commissioned to design the memorial), himself a descendent of early Chinese, was on hand to provide an update to the proposed location of the new memorial. In contrast to the original placement at the front of the cemetery, the proposed site is on a ridge overlooking the rest of the cemetery. 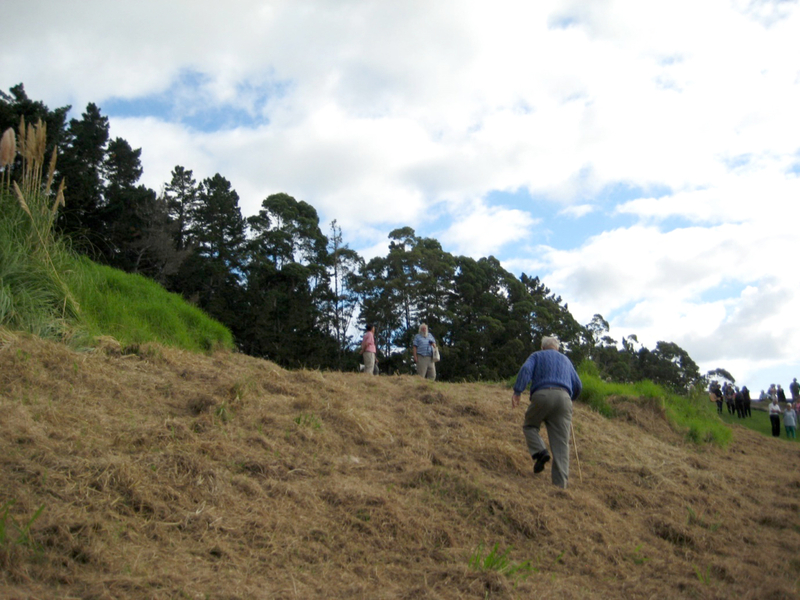 The suggested spot has the backing of Te Mahurehure iwi cluster, and a brief walking tour of the location allowed us to appropriately visualise the changes. The greater portion of the memorial’s length is in the long concrete path along the ridge, with steps leading up to the actual structure. It would also be partially hidden by the elevation, allowing it to subtly integrate into the surrounds. A town hall meeting was planned as an arena for such discussions following the tour, and all proceeded to the arranged venue after wrapping up at the cemetery. The conversation was productive and respectful overall. The main discussion related to the responsibilities of the involved parties, and environmental and infrastructure concerns. It was clarified that the NZCA did not have decision-making powers, and that formal consultation processes and actioning of construction was the prerogative of the Far North District Council. A question was raised about the need for the memorial to even be in the cemetery at all. Wong Liu Shueng, a key member of the project, provided an overview of Rawene’s significance to the Ventnor saga, not least because of the history from Te Rarawa that a number of the Chinese remains that their ancestors recovered are buried in the Rawene cemetery area. The questioner appeared to be satisfied with this response. Another concern related to the size of the memorial and the panels holding the 500 names. Linus Chin speaking on behalf of NZCA detailed the lack of other options, and emphasised the financial cost to the NZCA of the project. The current design was simply the most affordable option. Poignantly, it was pointed out that the 500, having suffered more than a century of anonymity, deserved to have names again. And after all, 500 names on some panels was far more efficient than digging 500 new plots. One elderly resident made an impassioned plea for us to “let go” of the names, and not to become the “dominant force”, and furthermore brought up the sacrifices of a relative who served and was wounded in the First World War. In response, it was politely but firmly stated that there were Chinese ANZACs as well who served their country and gave their lives for it, and that we too deserved a place in the country’s history. Furthermore, a member of our tour group took up the microphone to explicitly remind the audience of the dangers of no longer thinking of people as individuals, but merely a group. In a fashion, the meeting could be seen to encapsulate the country’s ambiguous attitudes to race. Despite the general goodwill of the townsfolk, a certain “othering” discourse did manifest in one or two places. This was quite rightly refuted, but I can’t help but wonder about how some of it was done. Would the place of Chinese in Aotearoa be any less valuable if there weren’t any Chinese ANZACs? And who gets to determine exactly what is deemed valuable? Though well-intentioned, I have doubts about the need to justify the worth of one’s people by means of a “benefits” discourse vis-à-vis the state and “mainstream” society. These are complex questions that we may need to consider more carefully. All things considered though, the meeting ended well. The responsibilities of all relevant parties were clarified, and a plan to improve communications was agreed upon. After the meeting’s conclusion, a welcome hangi dinner was served to all present. Of course, fry bread was on hand to mop up all that tender pork, chicken and veg, and some pudding rounded things off nicely. People who had been total strangers just a few minutes before conversed with each other freely. One could scarcely tell that we had just come out of a round of intense discussion. Left and right, I could tell that many seeds of friendship and trust were being sown. I look forward to seeing how these will come to bear fruit. On Sunday, our group enjoyed the great privilege of being invited to Matihetihe Marae in Mitimiti, on the land of Te Rarawa. 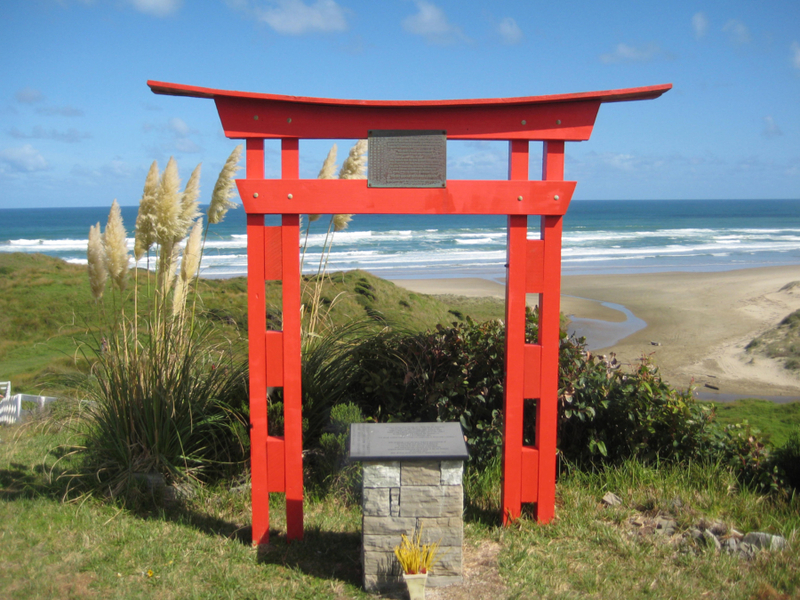 We were granted access to the cemetery, where the remarkable Red Gateway memorial stood on a hill overlooking the sea, a gift from Te Rarawa to honour our shared history. It sits just above the grave of renowned artist Ralph Hotere (who incidentally was godfather to some young relatives of one of our group). More obscure but just as interesting was an anonymous grave marked by a mossy, uncarved stone. Resting against it was a glass jar of archaic manufacture, with shrivelled joss sticks sticking out of it. Estimated to date to the 1920s, it is speculated that the grave may be a reinternment site for the Chinese bones, the remains of a Chinese man who married a local, or even both. Perhaps the future may yield more conclusive answers. After burning incense at the Red Gateway, we headed down to the beach and wrote messages of goodwill and memorial in the sand with bamboo poles. Like all words, these would wash away soon enough. Yet it matters not, for human hearts are the true parchment of remembrance. After that a Bai San ceremony was conducted where more incense and paper money were burnt at a makeshift altar with food and drink. We later shared a generous spread of meats, salads, garlic bread and other delicacies with our hosts back at the marae for lunch. A guestbook was made available for us to sign, and I pondered how our names and good wishes would persist in ink and pencil long after any electronic record of our adventures fade into the ether. After bidding our Te Rarawa friends farewell, the bus took us to Arai Te Uru where we briefly enjoyed the view from Signal Station Rd, where the SS Ventnor was last seen as it sank to its doom – at a 10 o’clock direction, and 10 miles out to sea. Te Roroa Tourism Manager Heni Matiu was on hand to take us through local lore and history. We looked out to the mouth of Hokianga Harbour where it is said two taniwha guard the entrance, accounting for the dangerous reputation of the local waters. We also gazed out to the sand bar where the legendary ancestor Kupe sacrificed his son in a spring. A planned visit to Hokianga Museum and Archives had to be cancelled due to time constraints, but we were able to stop by Old Wharf Rd to see the beach where the lifeboats of the SS Ventnor landed in the famous historical photo. 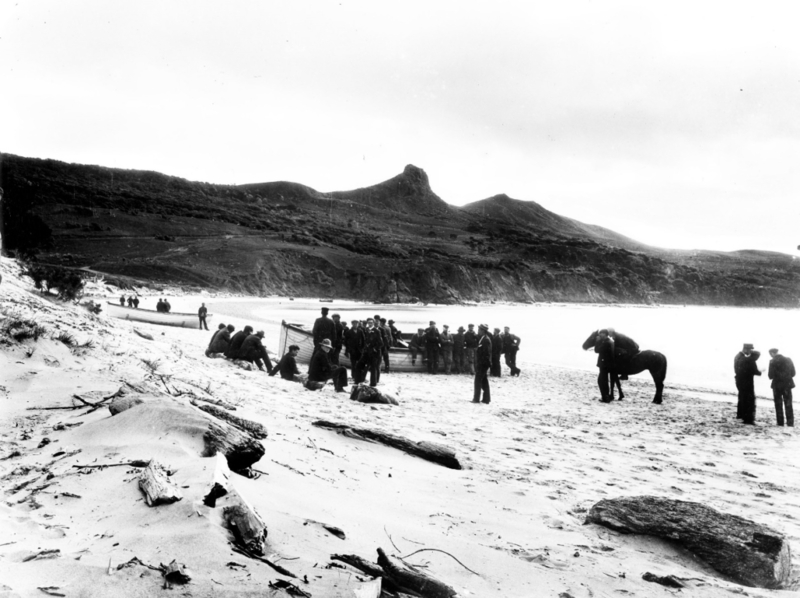 Rescuers, crew members and lifeboats from the SS Ventnor on Omapere Beach, Hokianga Harbour in 1902. Photo from the Northern Advocate. On Monday we departed for Waipoua Forest, briefly stopping to admire the giant kauri Tane Mahuta (making sure to first carefully clean our shoes at a special station to prevent kauri dieback). We then stopped at Te Roroa Visitors’ Centre where a pōwhiri took place and General Manager of Te Roroa Trust Snow Tane, himself a grandson of one of the Te Roroa men who gathered the Chinese bones, welcomed us to the area. Next to the Centre was a grove of trees donated by various parties to commemorate the SS Ventnor and a plaque dedicated by the Chinese community to Te Roroa, where we burned more incense to pay our respects. Then it was back on the bus to follow the indomitable Ms. Matiu to the coast, where another bai san ceremony was held, our guide also partaking in burning fat wads of (fake) cash. 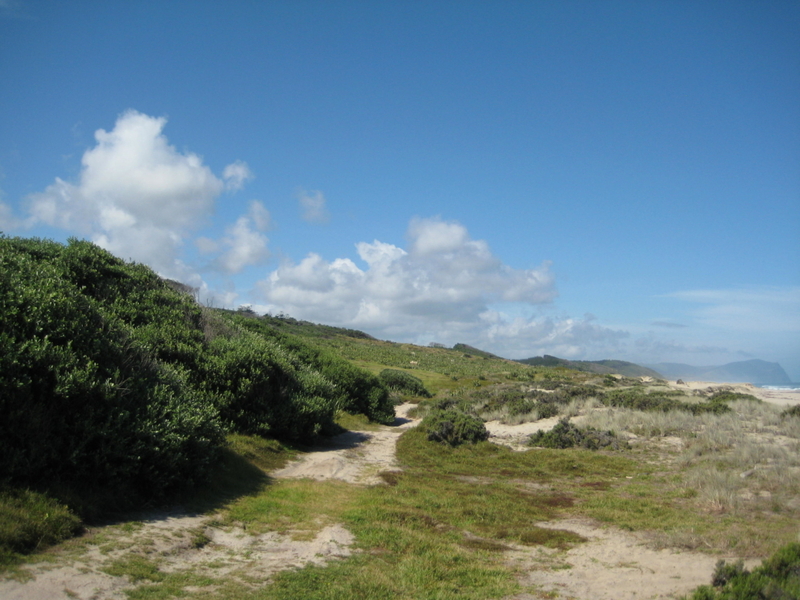 Those physically able followed Ms. Matiu along a rocky stretch across the beach, up to some sand dunes where members of Te Roroa buried those sets of remains that were recovered in the area. She told us of the good fishing to be had around these parts, which she attributed to the blessings of those reinterred Chinese. The dunes were a magnificent place of repose in tranquil isolation. It was a great honour to set foot upon this little slice of paradise. After lunch at the Centre we departed for the journey back to Auckland. Despite the unfortunate construction events at Rawene Cemetery, the experience was a positive one overall. New connections were made, and old ones revived. And any setbacks on the way, overcome through wisdom and cooperation. The story of the SS Ventnor is an incredible saga. It provides a powerful historical precedent for cooperation between non-white groups. For Chinese, it is an example of how we may conduct ourselves responsibly on this land, realising a belonging whilst retaining our uniqueness. And throughout, taking pride in our past. 1 Nigel Murphy, Guide to laws and policies relating to the Chinese in New Zealand 1871-1997 (Wellington: New Zealand Chinese Association Inc, 2008), 317.